After a lovely lunch with my favourite (one and only) nephew Aston I received ‘the call’ from Mary saying that Rosie had gone into labour. With no time to drop my four year old nephew back with his mum we both jumped in the car, eager to get to the farm as soon as possible. 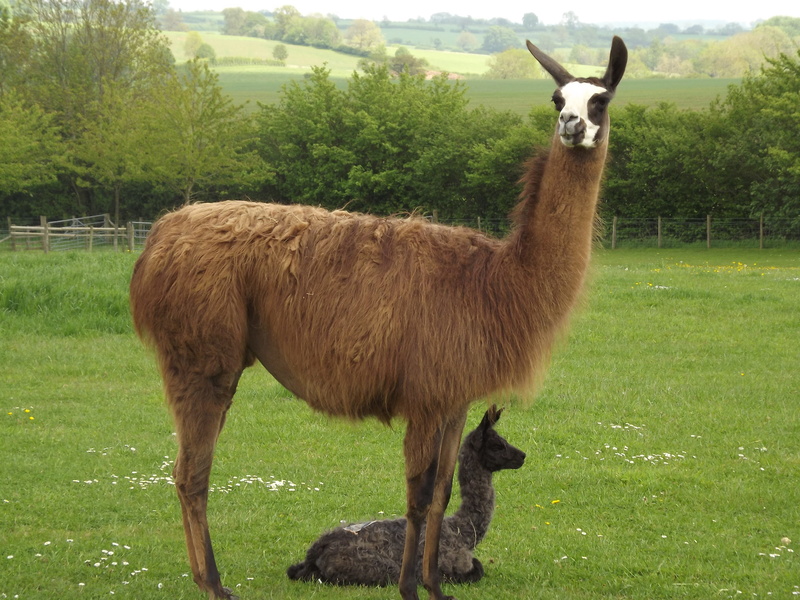 We were both very excited and on route we were thinking of baby names, not knowing if it would be a boy or a girl I asked my nephew what names he thought would be nice for a llama that begin with the letter R (we make our way through the alphabet for each baby born)…. His first answer was baby Ryan. Funnily enough on our arrival at Catanger, Mary greeted us with the news that a baby boy had just touched the ground and that she already had a name in mind for him. One of our very helpful workers at Catanger is called Ryan and had been working all day helping David with the fencing and had unfortunately left just before Rosie went into labour. 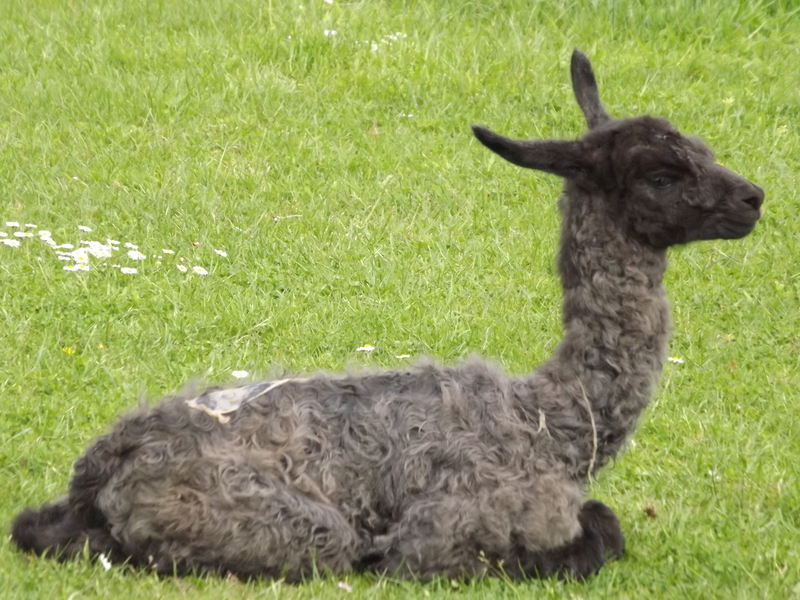 So the name was obviously meant to be and thought it would be lovely to name him Ryan. 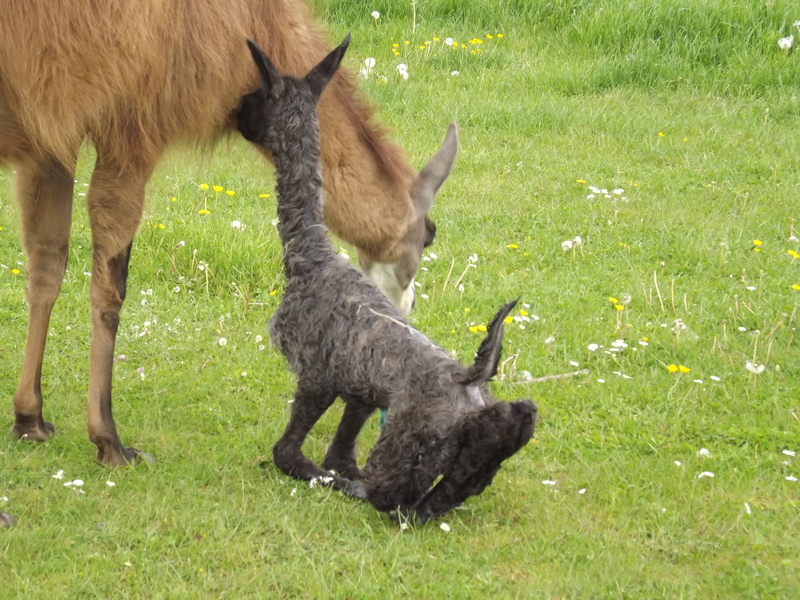 Ryan is a very special cria (baby llama) as he is one of Xing’s first ever babies and we have been dying to see what lovely babies he would give us. 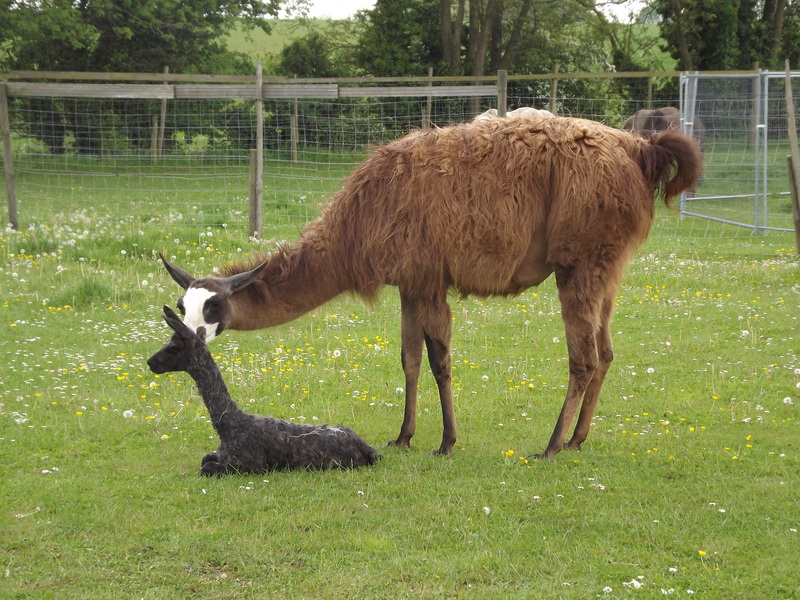 So here is just 20 minutes old.